First of all, four days is intense. Now that your sunburn has settled in and you’ve re-entered the real world, let’s take a look back at day 4 of the extravaganza that is Lollapalooza. Once the Lollapalooza powers that be pull their numbers and their financial data to see if four days is still profitable, we’ll see if this format continues beyond the 25th anniversary celebratory duration this year. Some might need the whole year to recover, but it’s all good. Growing into Lollapalooza’s main stage from her appearance last year on the smaller BMI stage, Halsey churned out pure electro-alterna-pop euphoria. At one point between songs, she addressed all the “crazy sh*t that’s been happening around the world lately,” and how silly and depressing it is that she’s onstage playing songs in her little pink shorts about “if you f*ck me you get to go to heaven.” Life is crazy like that in many ways, but the bottom line remains: music has the power to overcome all the bullspit in the world and captivate an audience while transporting them from the madness. Music is universal. Music is worldwide. Music can be fantasy, but a fantasy that is here with us in reality. Music’s newest pop pirate reminded us that during her afternoon set, so wrap your head around that! 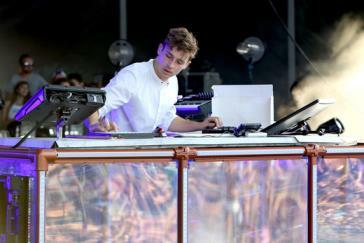 Flume echoed Halsey’s sentiments of deep appreciation for where they are in their careers, assessing and displaying their gratitude to the fans who helped them graduate to the big stage at Lollapalooza. His high-energy set got the crowd nicely warmed up for what was to succeed him on the Samsung stage. 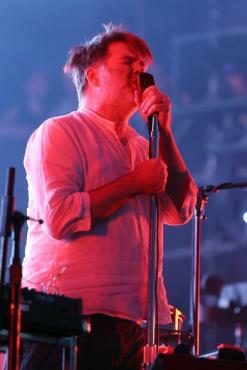 LCD Soundsystem, who have hinted at a last hurrah for the better part of this decade, showed why they are still the industry’s tastemakers with an onslaught of songs that has garnered them the reputation as such. Us v. Them opened the set, and the time came to dance. The time has come to think. The time has come to act. The time has come. Powering seamlessly through their self-titled, Sound of Silver, and This is Happening albums, James Murphy and Co. delivered a storied performance for the books of Lollapalooza folklore. Losing My Edge could be a song written by the music festival itself, tongue in cheek and all. The most beautifully poignant moment, though, came during Someone Great when a festival goer released one of those mini hot air balloons that floated into the Chicago night’s unbeatable skyline. LCD Soundsystem brings the magic wherever they go, and Lollapalooza’s headlining event was no exception. You wanted a hit? Well, this was more like a grand slam of epic proportions. Maybe they do do hits after all.